This card started with an Ultra Smooth White Cardstock Base, and then I tucked in some Spring in Bloom Patterned Paper on the top and bottom of the card. Then, I chose a fun and flirty purple based paper, also from the Spring in Bloom Patterned Paper pack, and die cut a panel, using the Tags, Etc. Dies. From that panel, I die cut a flamingo from the Stand Tall Dies. 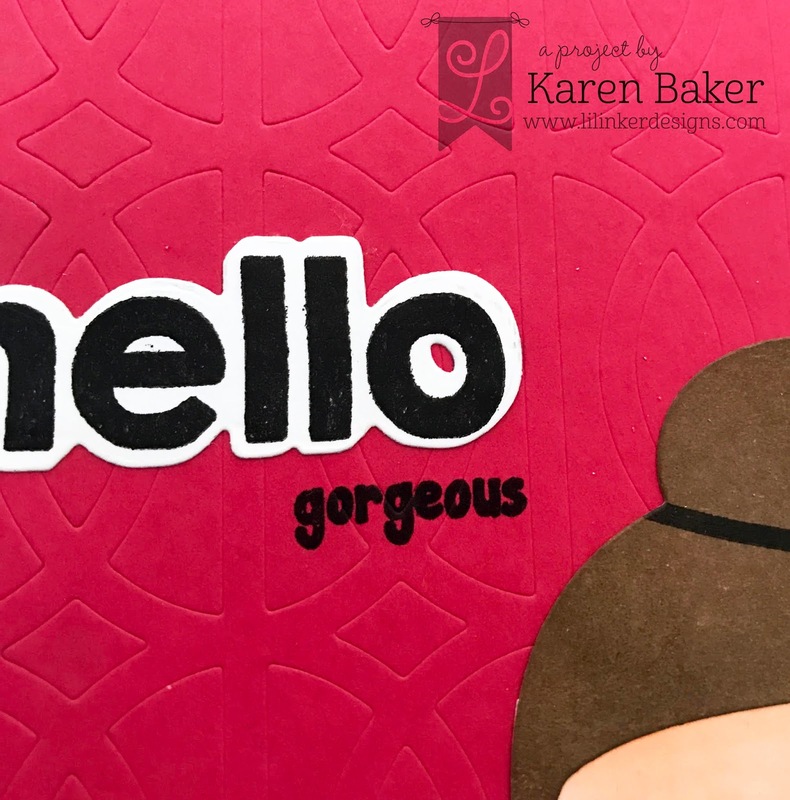 Before adhering the panel to the card base, I stamped a sentiment from the Stand Tall Stamp Set, and added some dimensional adhesive to contain the Springfield Sequin Mix to create a shaker. 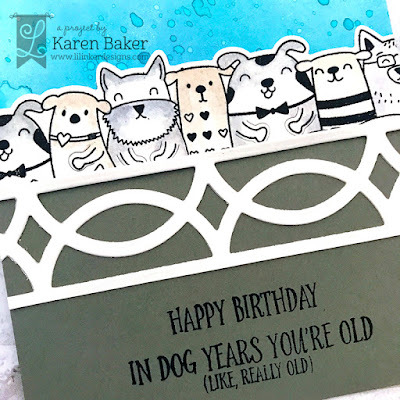 I also doodled the border and the flamingo by tracing the outlines created from the dies, to add a whimsical touch to the card. 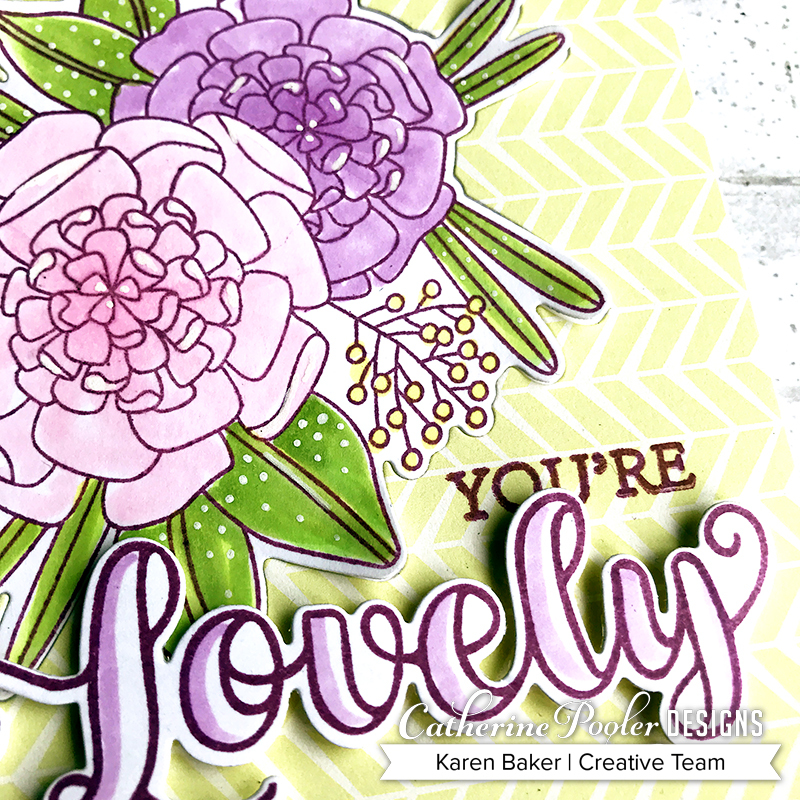 I finished the card by die cutting the leaves from the Leave Me in Paradise Die Set, and hand drew details on the leaves. 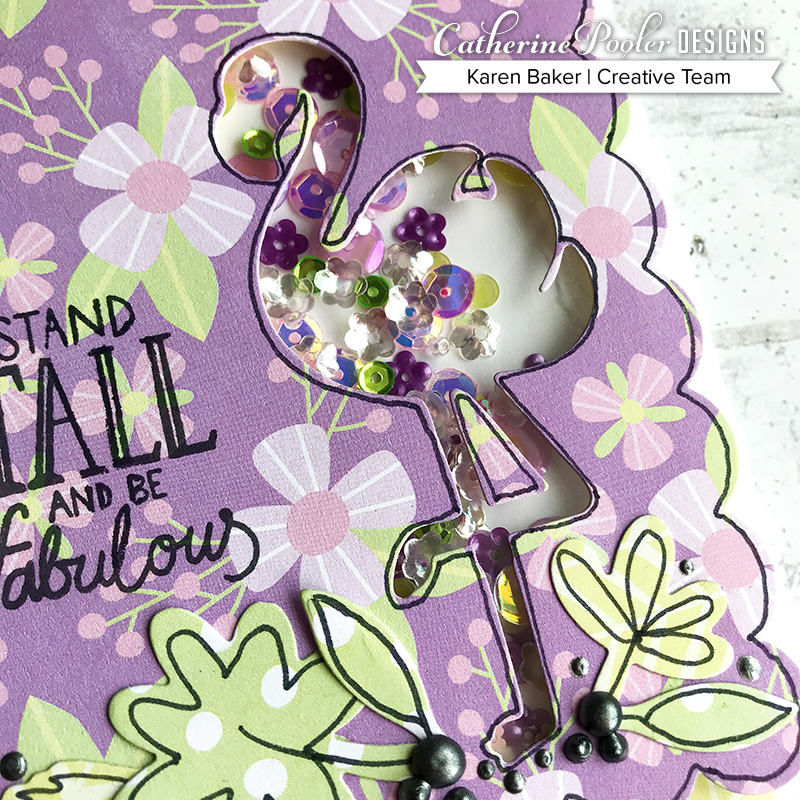 To finish the card, I grounded the flamingo with some Nuvo Drops. This shaker style card was super easy to create, and I think is so much fun! 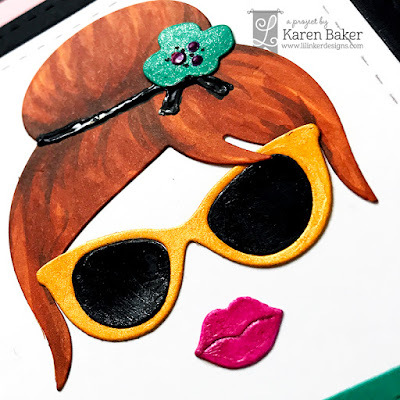 I had a delightful time crafting with a friend yesterday, and although I created just one finished card and started another, I'd call it a successful day! 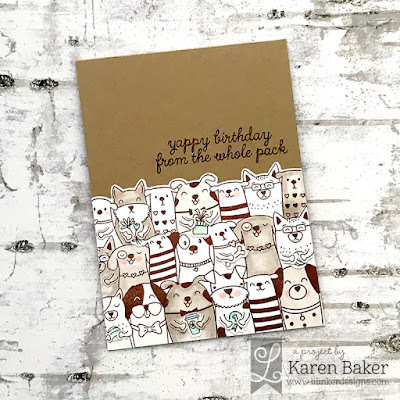 I used some Lil' Inker Designs (affiliate links used) products on this card. 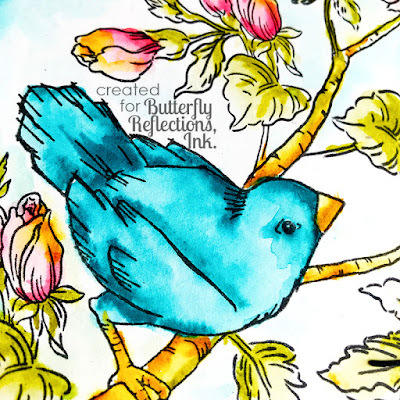 I started with a white card base in which I inked blended various shades of blue. I then added some blue splatters. 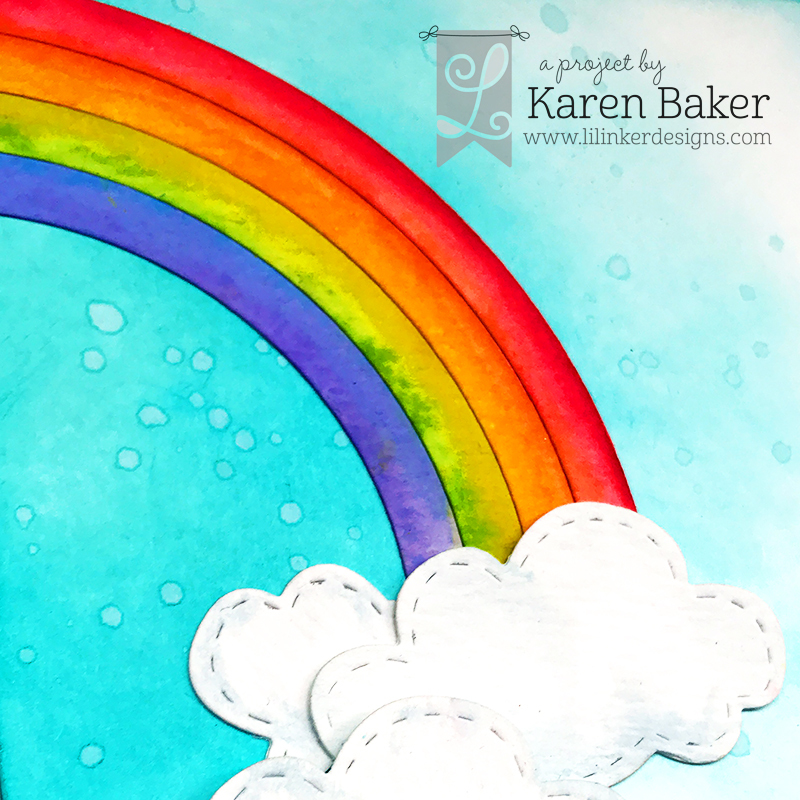 Then I created a rainbow using Zig Markers, and the fun die from Lil' Inkers Rainbow & Clouds Die Set. 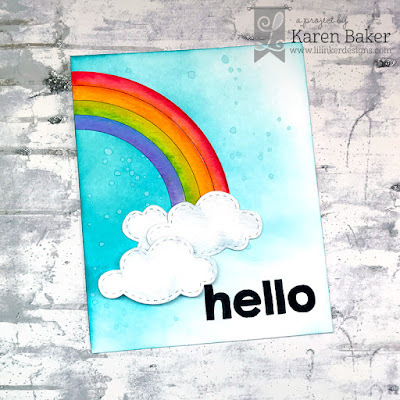 This was adhered on the card base, with the top cloud using dimensional adhesive. 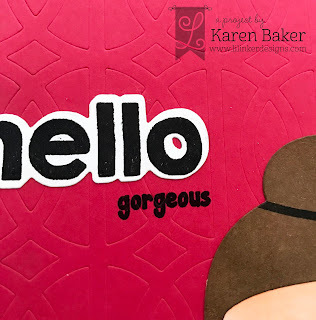 I finished the card with a bold sentiment, from the Snarky Shadow Hello Die and Stamp Bundle. This fun, playful die is included in the Spring Bundle (three products at an amazing price!) 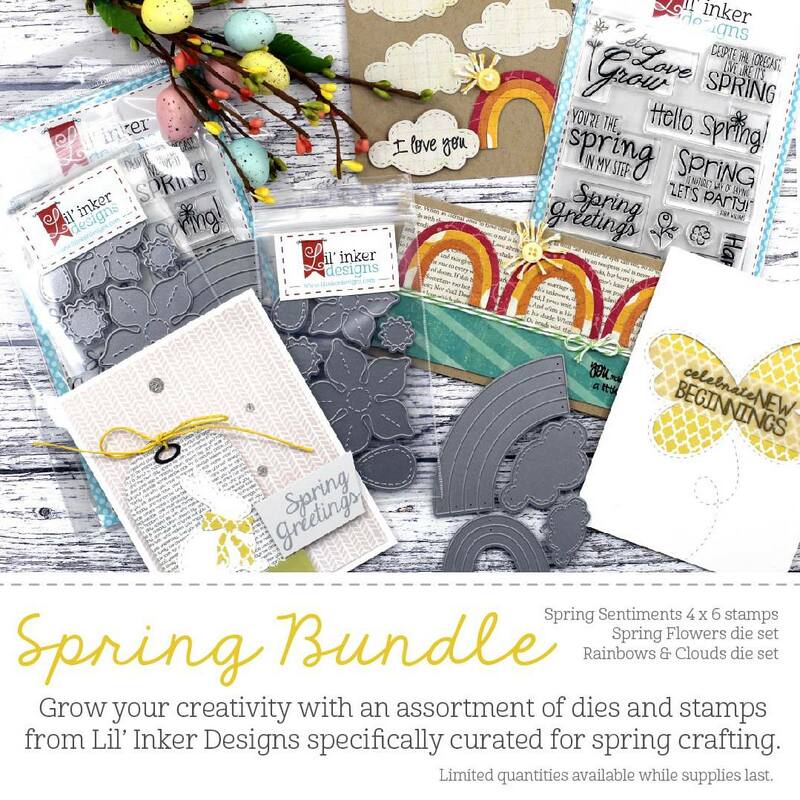 that is offered by Lil' Inker Designs, and they are also having a sale through tomorrow! 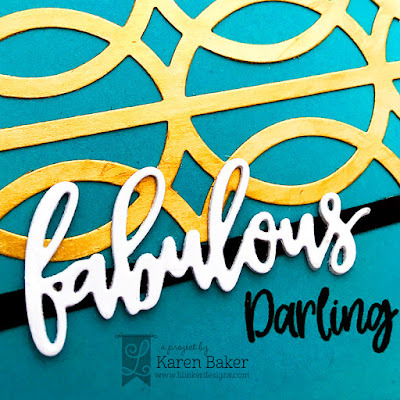 Catherine Pooler Designs (affiliate links used) had a fabulous release this month, and I have a bold beauty to showcase today. 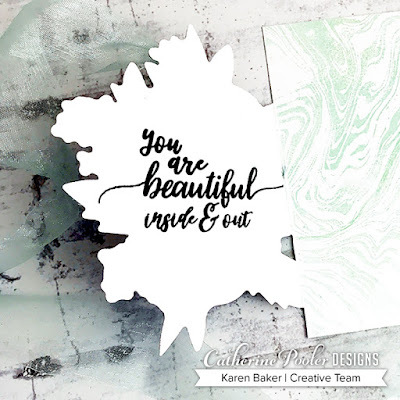 I started by covering some Ultra Smooth White Cardstock with Samba, Tiki Torch, Grass Skirt Inks, then stamped the Grunge Background Stamp over it with the same color ink-for a fun two-tone texture. 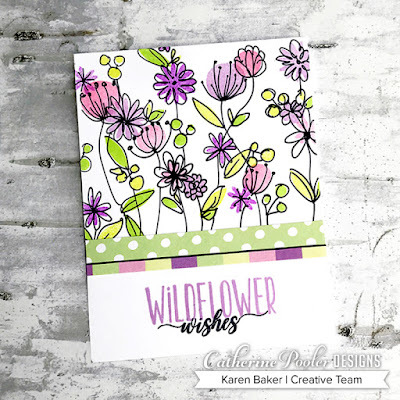 From these, I die cut the cool, fun flowers from Be Wild Dies and leaves from the Leave Me in Paradise Dies. 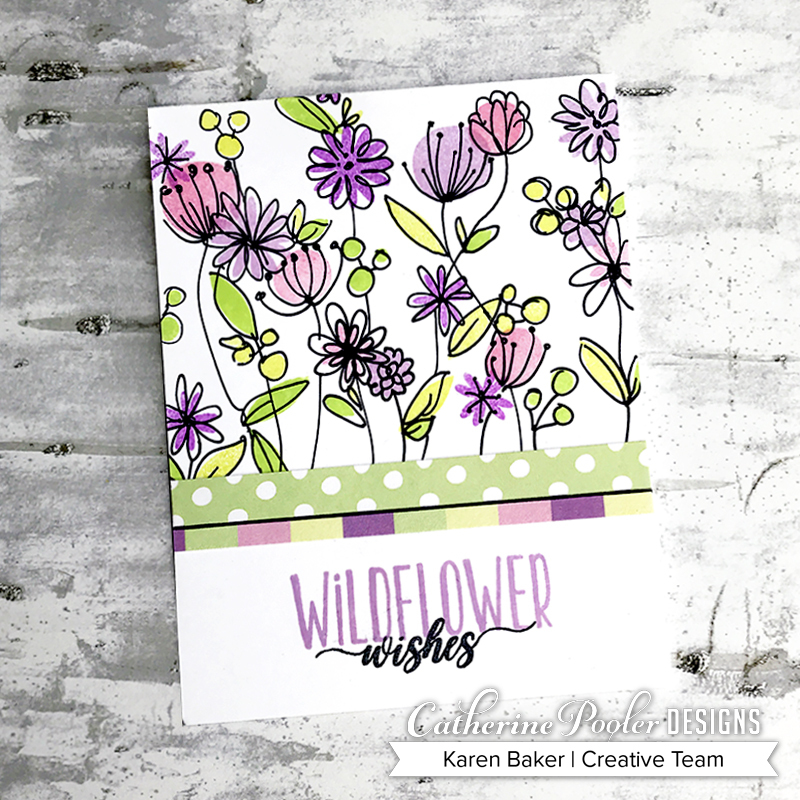 I stamped the coordinating images with the Be Wild Stamp Set and Leave Me in Paradise Stamp Set. 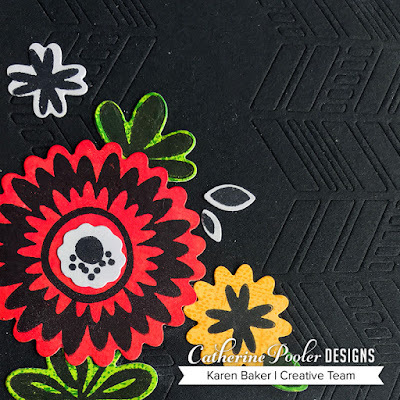 I arranged these onto a black cardstock panel that was embossed with the Chevron Divide Cover Plate Die. 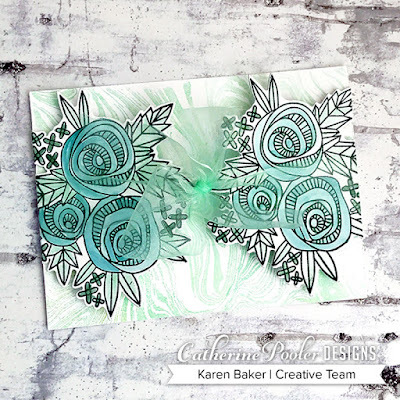 I trimmed the panel a bit short so I could showcase the card base, that was made by stamping Samba, Tiki Torch, and Orange Twist Inks on to the Grunge Background Stamp and then stamping that over a blend of Tiki Torch. 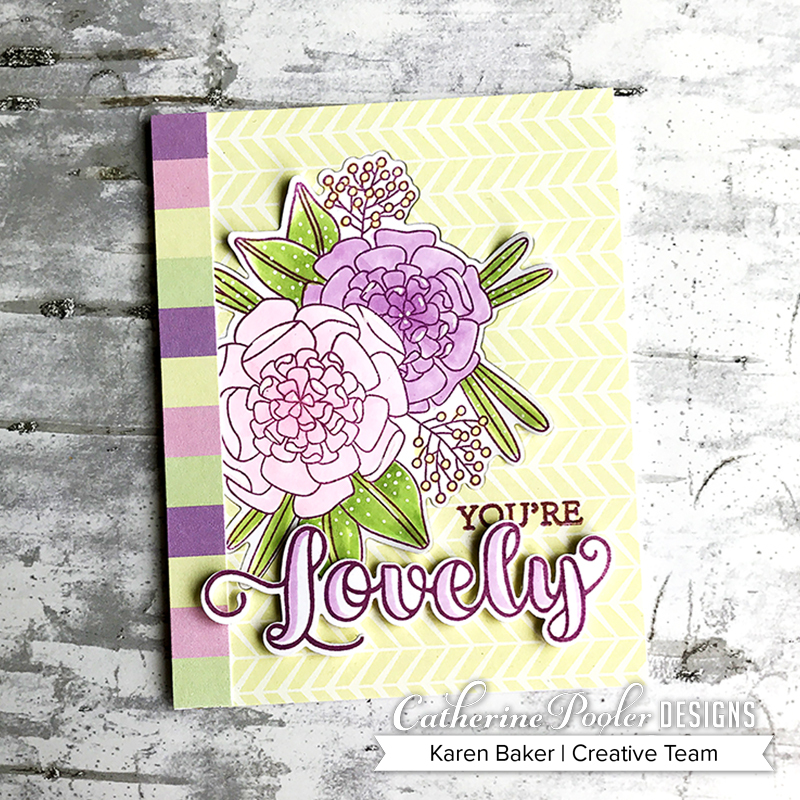 I finished the card with a sentiment created from the Isn't She Lovely Stamp Set and Lovely Word Die. I usually don't create bold designs such as this, so it was fun to try something "newish" for me! 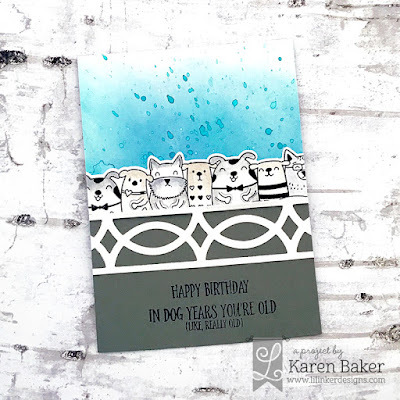 Today I have a two cards showcasing the adorable, and much requested, Dog Hugs Stamps and Dog Hugs Die Set. I just love how you can customize this set, so that the dogs can hold items or wear glasses, etc.! I stamped one time the dogs onto white cardstock and colored them in with light colored Copics. Nothing fancy, just gave them a bit of color. I then used the coordinating die, and added a few accessories. 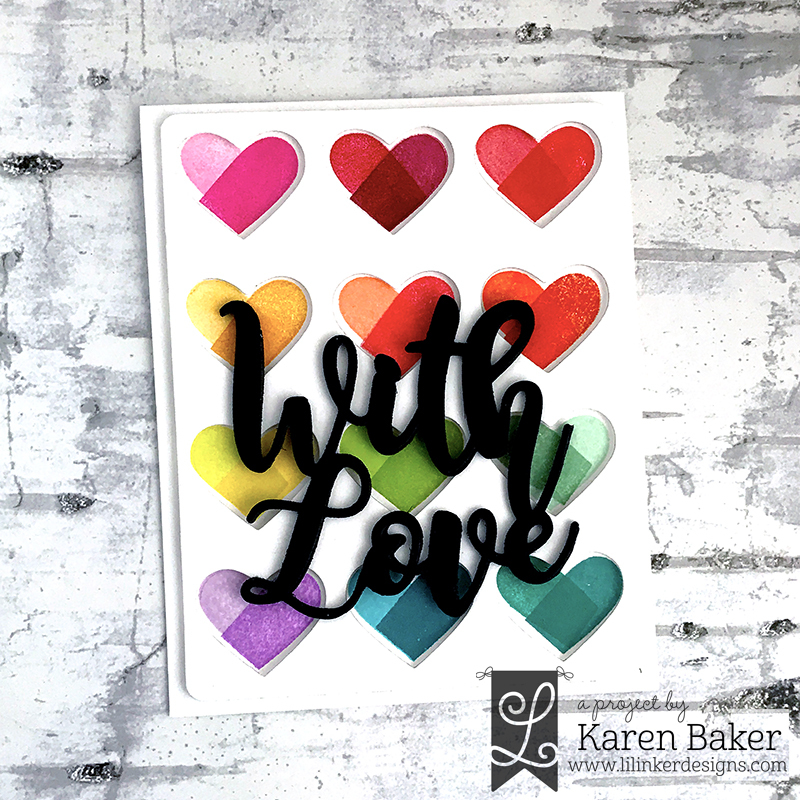 I mounted the panel onto a kraft card base and finished with a stamped sentiment from Dog Hugs. For this next card, I used a single, stamped row of the dog from Dog Hugs- cut with the Dog Hugs Die Set, and mounted it onto a white panel inked with oxide inks. 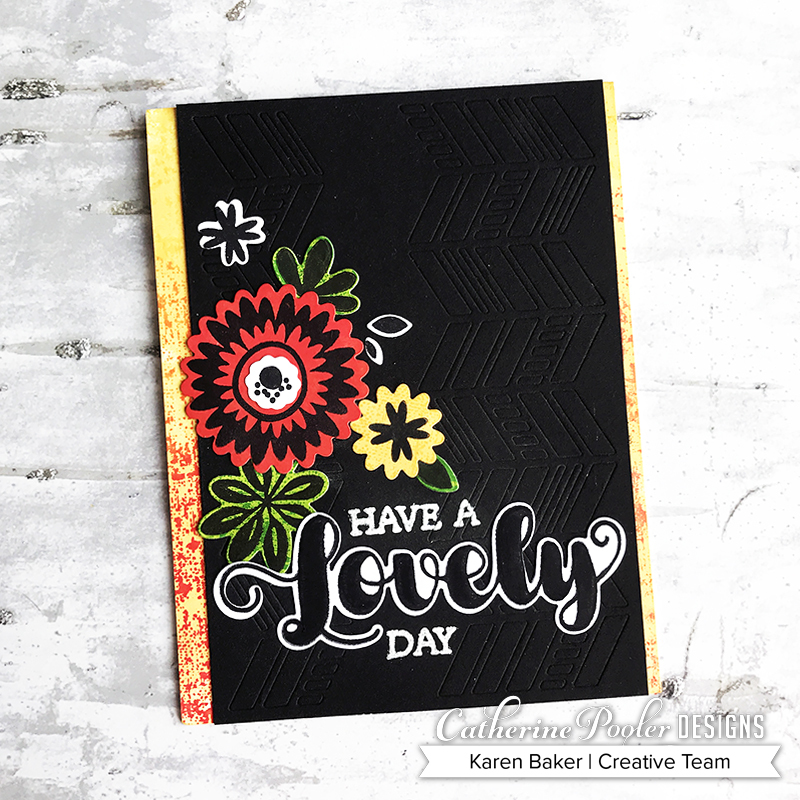 I then created a cardbase from gray cardstock, onto which I stamped a fun sentiment from Sassy Pants Stamp Set. 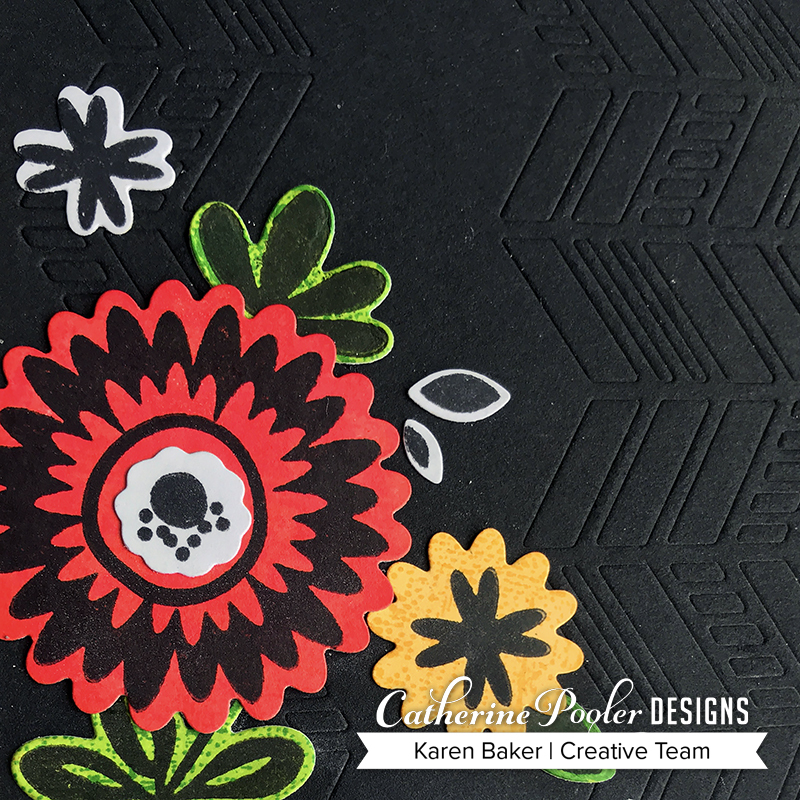 I finished with a panel I cut from the Mod Circles Cover Up Die. So much fun to mix and match all the items from just this February Release! 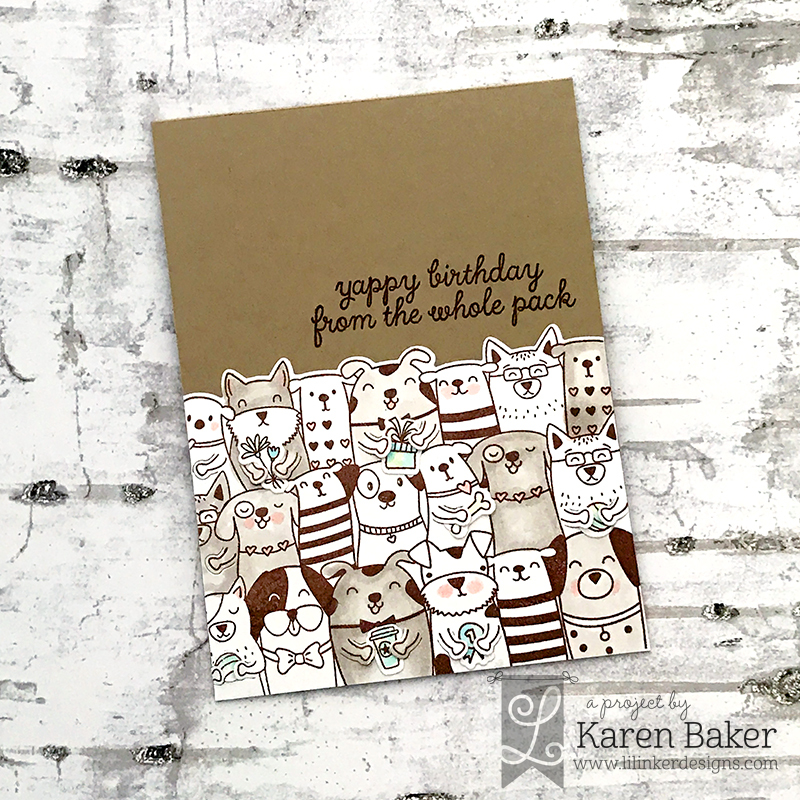 Today I have a few cards featuring the newest cover plate to the line-up: Mod Circles! My first card features a teal cardbase. 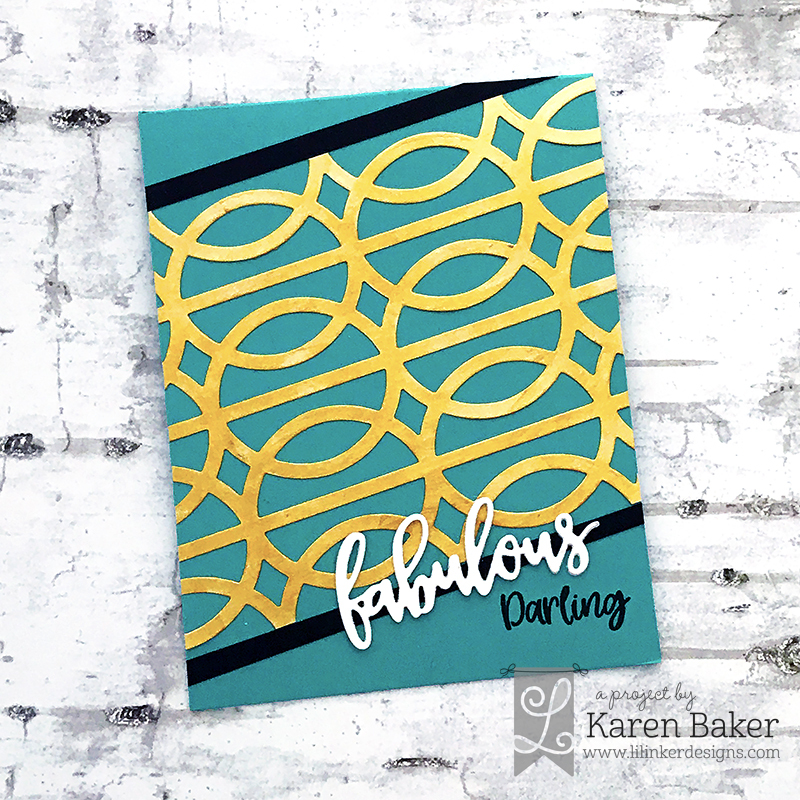 I painted gold paint onto some cardstock and cut out the Mod Circles, applying it to the card not as a normal cover-plate, but as a decorative, angled element. 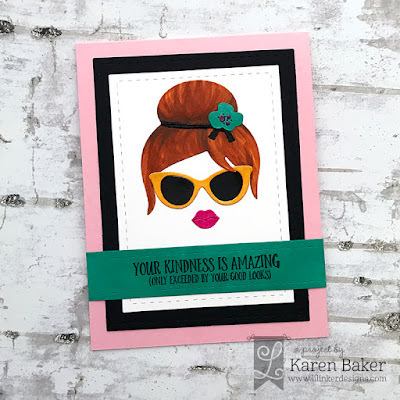 I finished the card with a three-layer die cut sentiment from the new Fabulous Word Die and a coordinating sentiment from the Sassy Girl Stamp Set. 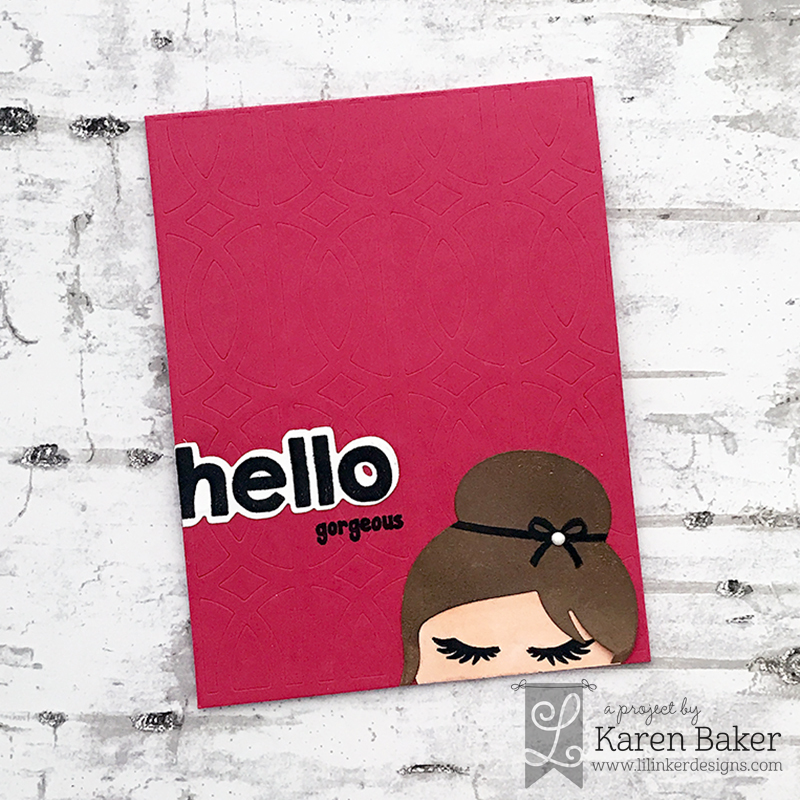 For this next card, I used the Mod Circles Cover Up Die as an embossing plate with my bright pink card base. 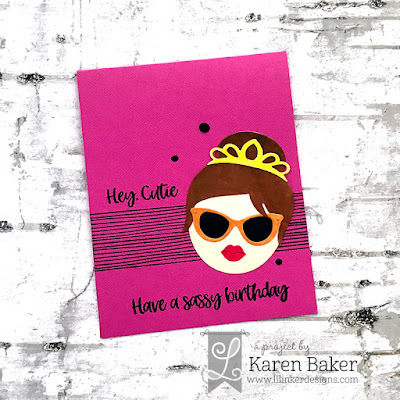 I then used the Sassy Girl Die Set and Sassy Girl Stamp Set to create a focal point. 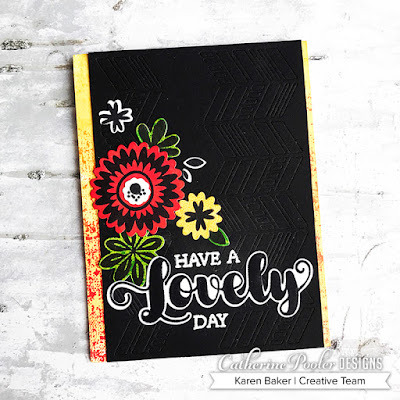 I finished the card with a sentiment made from the new Snarky Shadow Hello Stamp and Die Set. 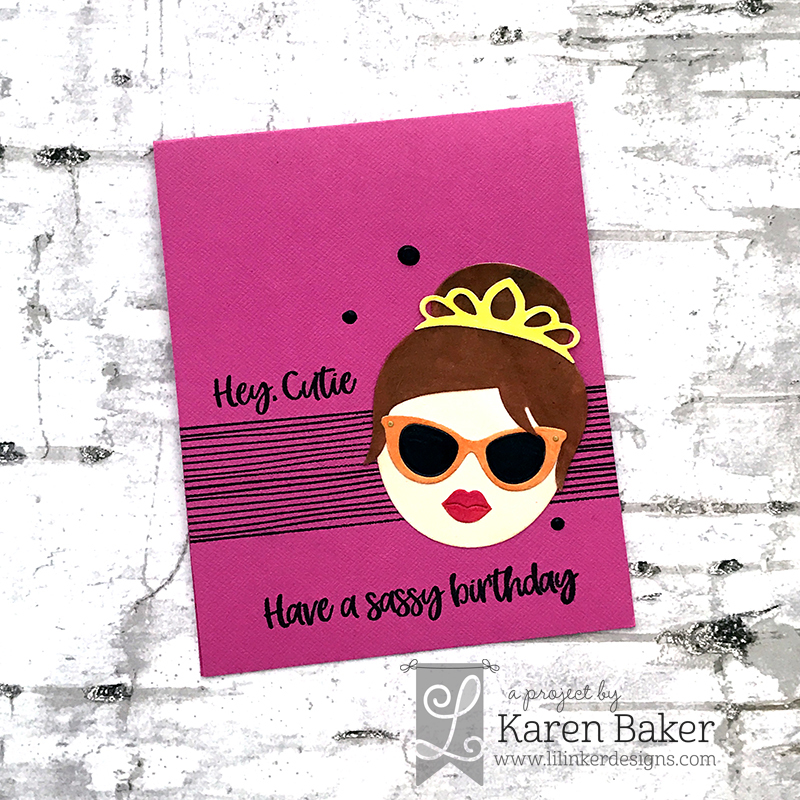 My first project features the uber cool and trendy Sassy Girl Die Set, along with another new snarky sentiment set, Sassy Pants Stamp Set. 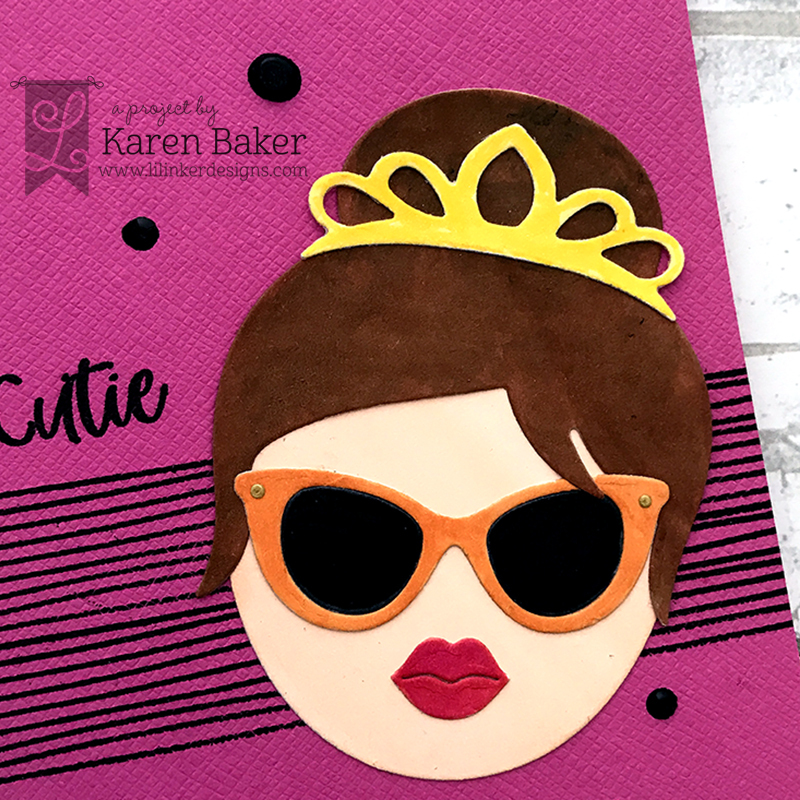 To create the card, I die cut items from the Sassy Girl Die Set and colored them in with Copics and Nuvo Drop (for some sparkle and shine!). I didn't feel the need to add the face shape, and I think it turned out so cool! 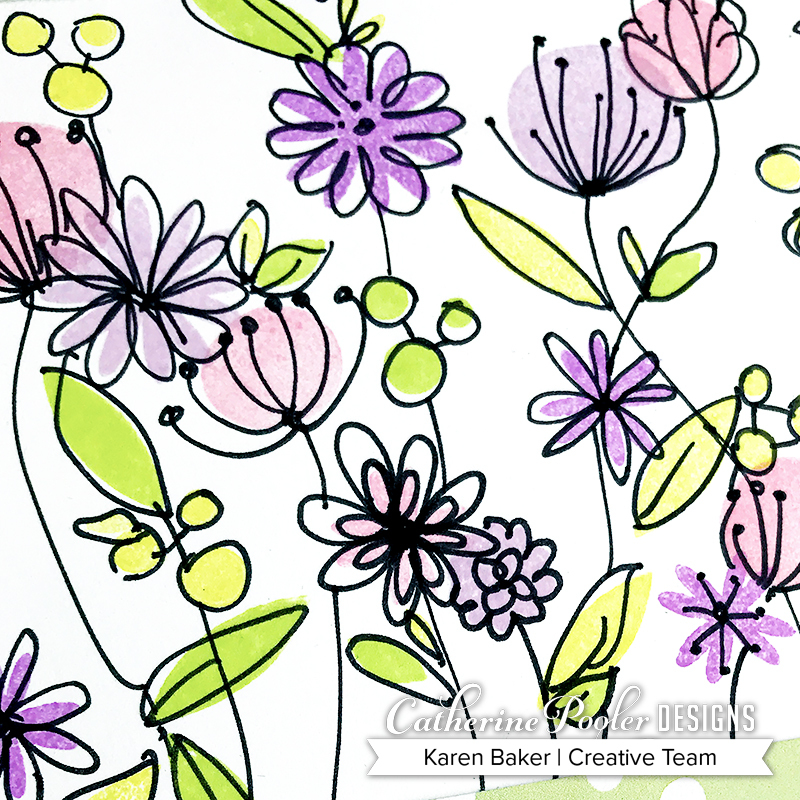 It is so much fun to mix and match the elements from this set. 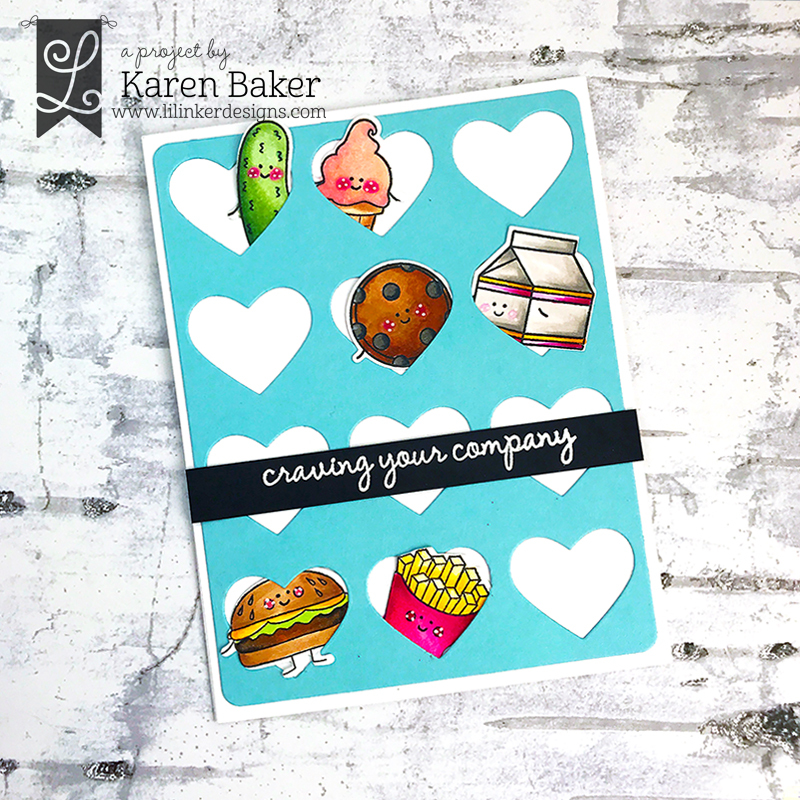 The card was finished with a sentiment panel from Sassy Pants Stamp Set. 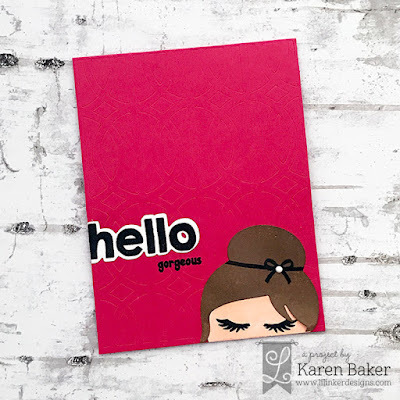 My next project also features the Sassy Girl Die Set along with the coordinating Sassy Girl Stamp Set, as well as the striped pattern from last month's release, Cozy Plaid Stamp Set. It was so quick and easy to put together. I used Copics to color all the images, but you could use cardstock as well. 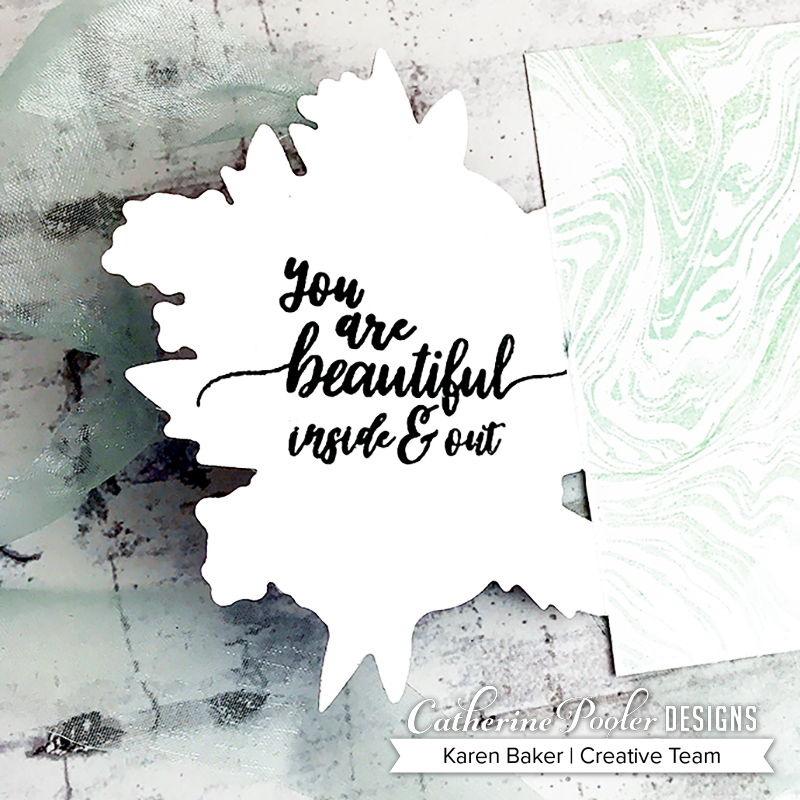 I created a gatefold card, with a beautiful marble background peeking through-in my opinion, anyway! I started with a piece of 4.25 x 11" premium white cardstock, folding at 4.25" at each end. 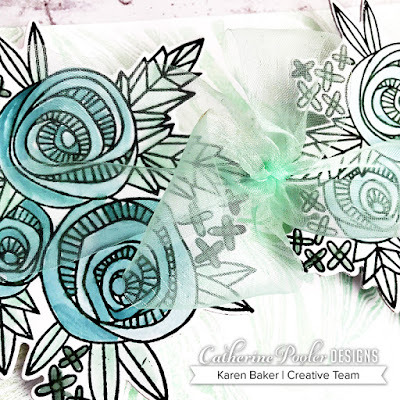 Then I did the partial die cutting technique with the Cottage Corsage Dies, and then stamped and colored the beautiful flowers from Cottage Corsage with a watercolor brush and Mint to Be and Daydream Ink. 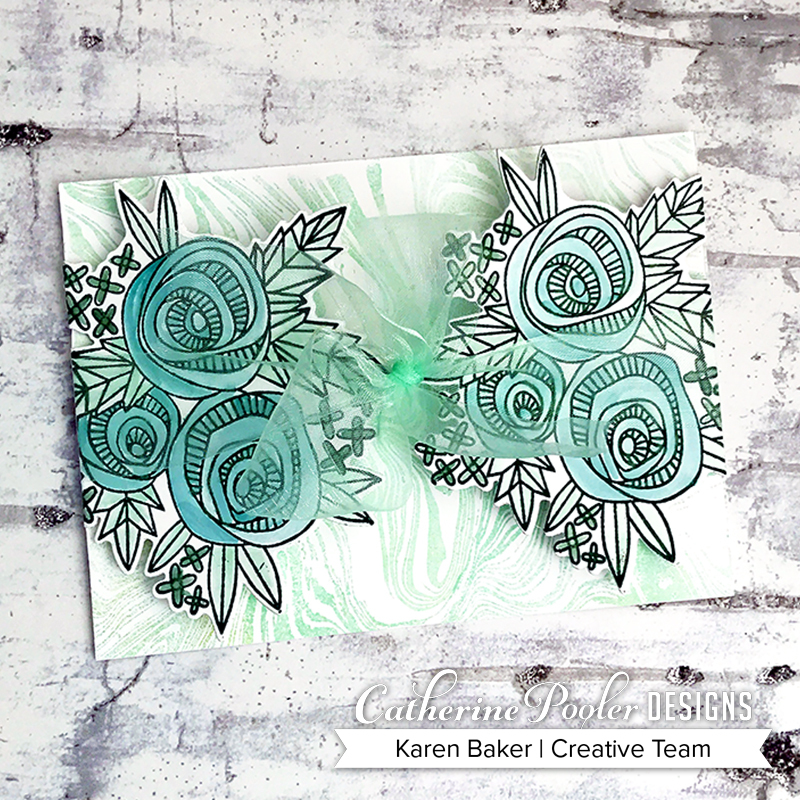 On the interior base of the card, I stamped the Marble Swirl stamp in Mint to Be. 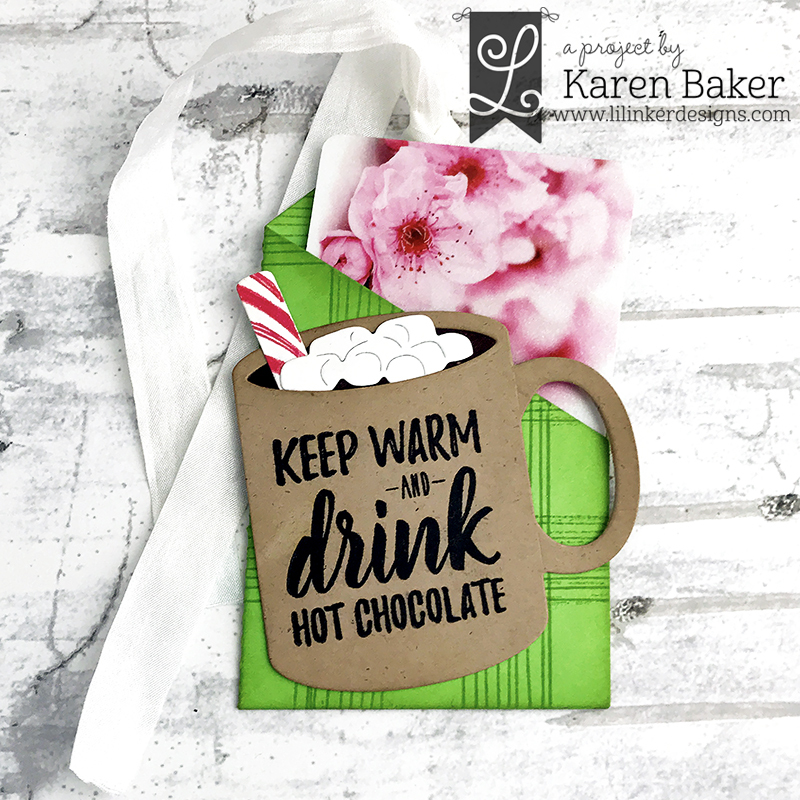 On the inside flap, I stamped a sentiment from the Cottage Corsage Stamp Set. The other flap is where I will sign my greeting. I folded the flaps in and tied it together with a sheer, mint ribbon. I don't often experiment with different folds or card forms, so this was a step outside my comfort zone and I really enjoyed the results! 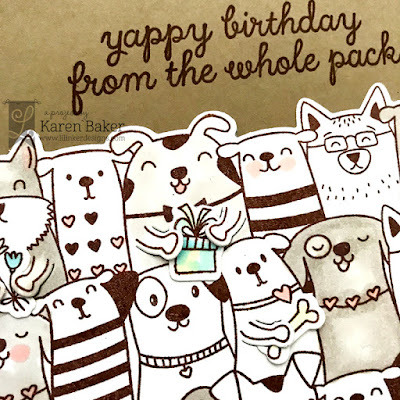 I am sure we all can agree when you can use a stamp set for multiple reasons, right? 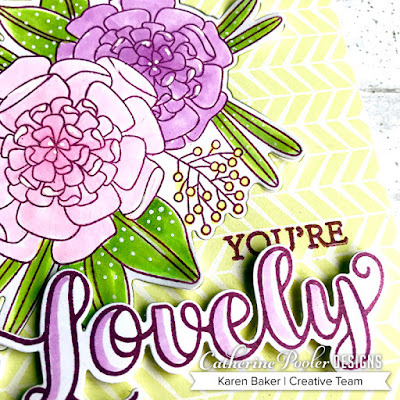 The Happy Place Stamp Set and the Happy Place Die Set, (also sold as a bundle with the Strolling Borders Stamp Set!) along with the Welcome Word Die, all from the Catherine Pooler Welcome Home Release, are just a few of those products (affiliate links used). 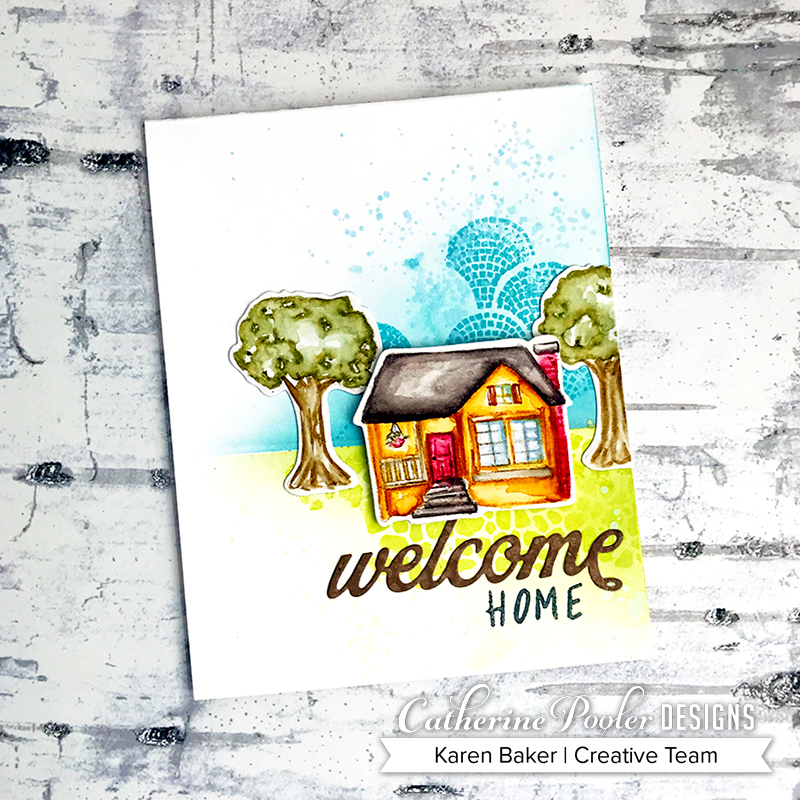 You can use this set to welcome home a soldier, a college student, a friend that is moving back to her hometown, or someone that purchased their first house, or even a friend that finally moved into their own build dream home! For this card, I started by creating an abstract landscape using Strolling Borders. 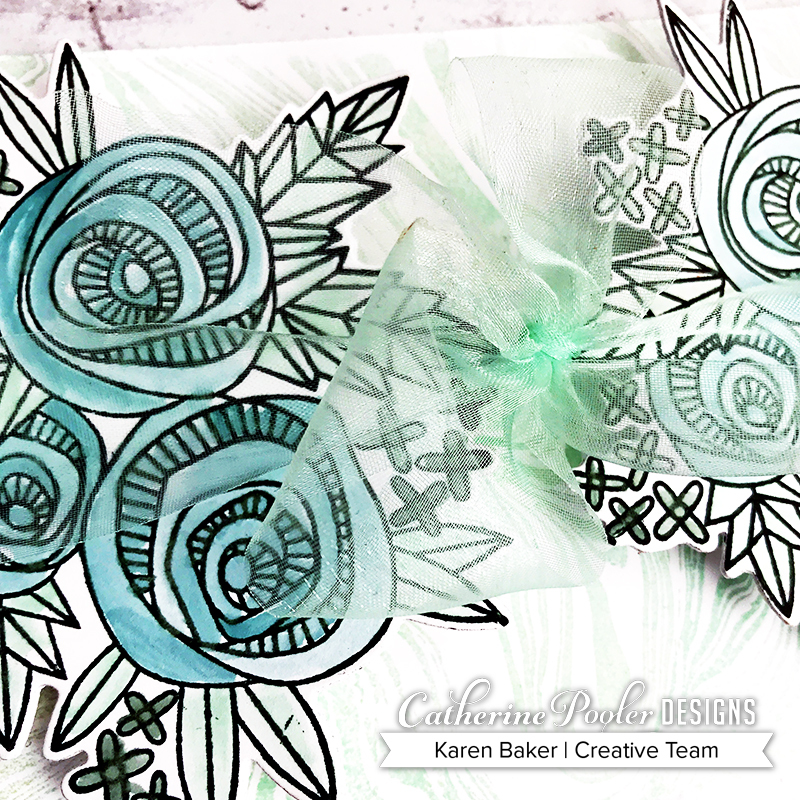 I created the sky using It's a Boy Ink, and the grass with Melon Ice Ink. 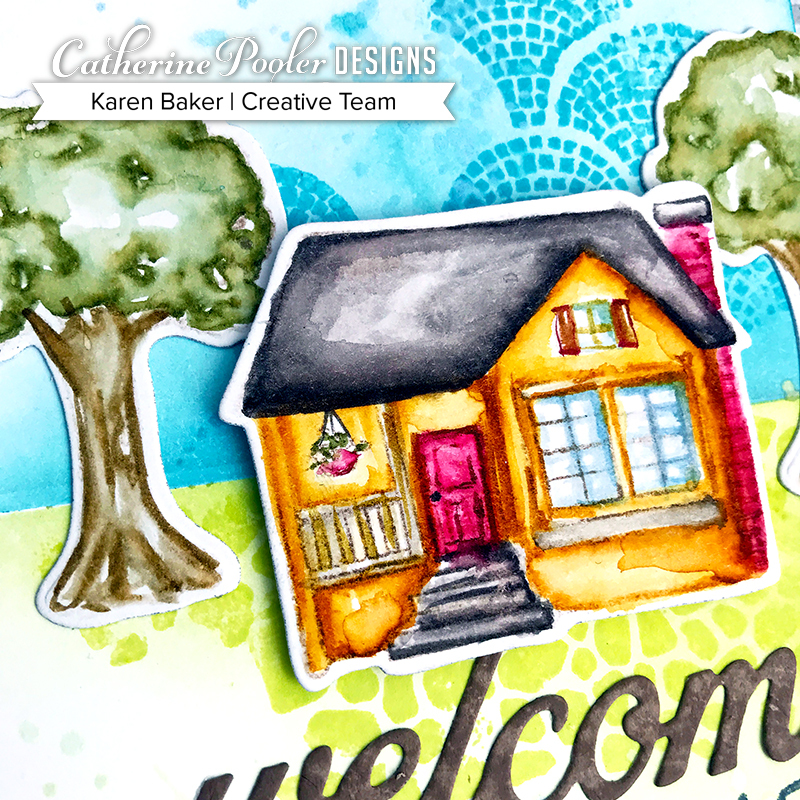 I then stamped the house and trees from Happy Place with Twilight Ink onto Bristol Smooth Cardstock and colored them with Zig Real Clean Color Brush Markers for a no-line coloring look. 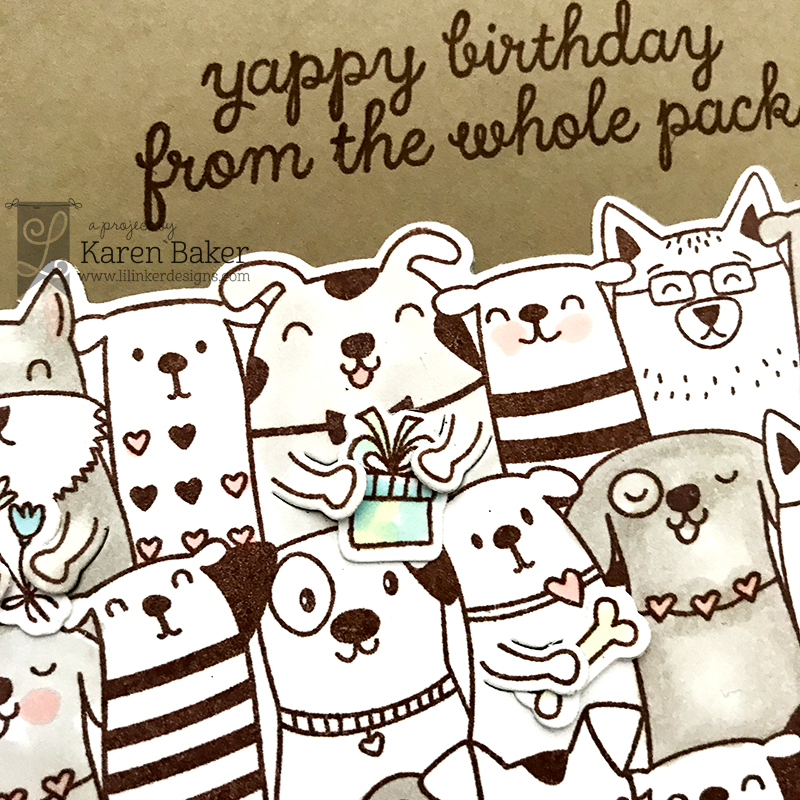 I then die cut them out with the Happy Place Die Set. 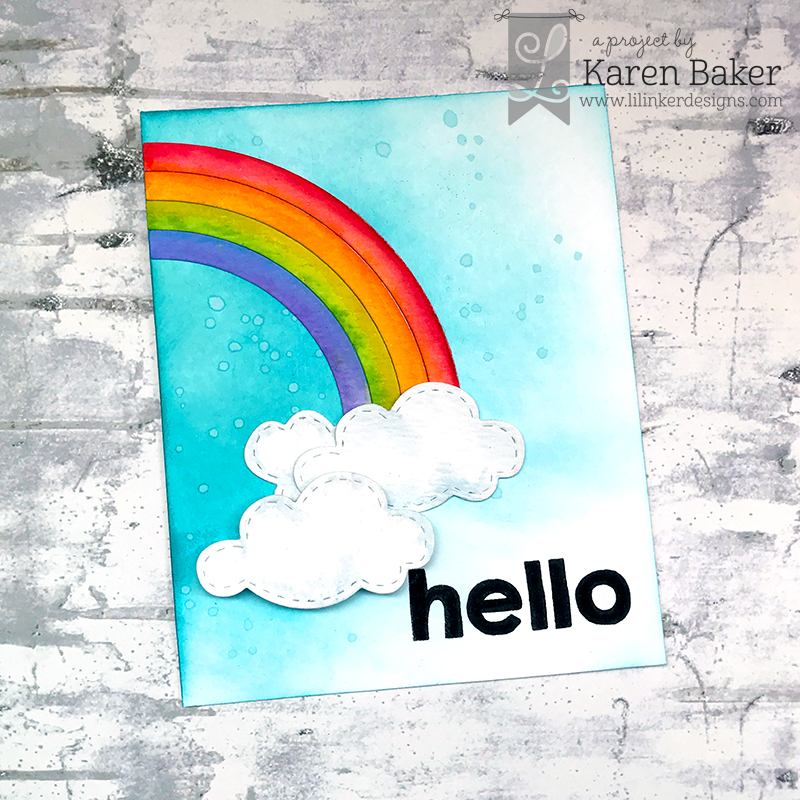 Then I die cut part of the sentiment from Welcome Word Die and finished with a sentiment from Happy Place. 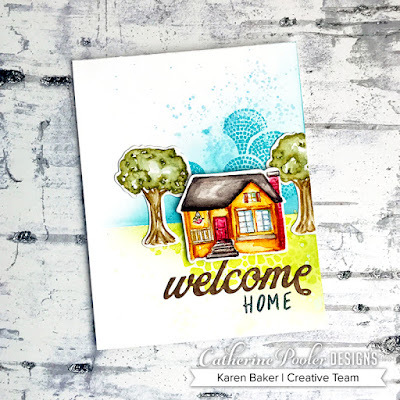 Sending this card to a friend who just moved into her dream home after a long process of building and lots of hard work and dedication!